German tanks near Tobruk during Operation Crusader. Left a Panzer 3, on the right a SdKfz 250 APC. 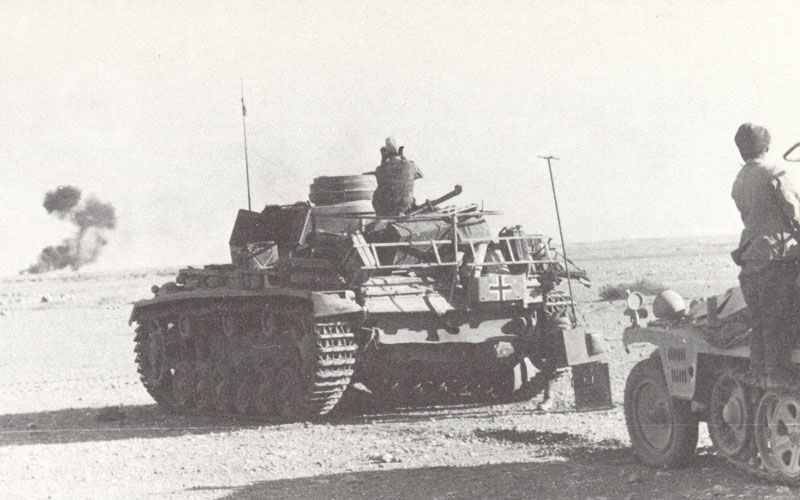 Operation Crusader: Rommel counter-attacks; heavy fighting develops between Tobruk and Sidi Rezegh.